Feed Mover Screw - Reach It! - Move It! - Crush It! Efficient way of moving uneaten feed back in front of the cattle. When moving, the screw mixes the feed and the fresh feed remains on top. With the feed mover screw drive speed can be higher, over 10 km/ h. Feed can be moved both to the right and to the left simply by changing the rotation direction. 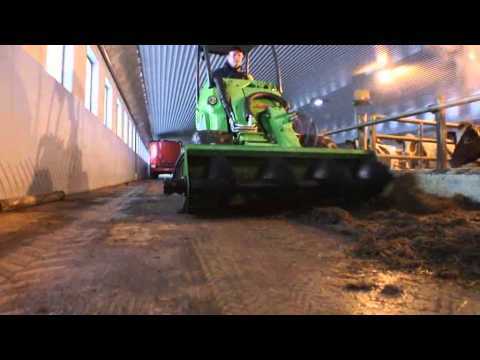 The plastic scraper blade at the rear of the attachment cleans the feeding table very efficiently.